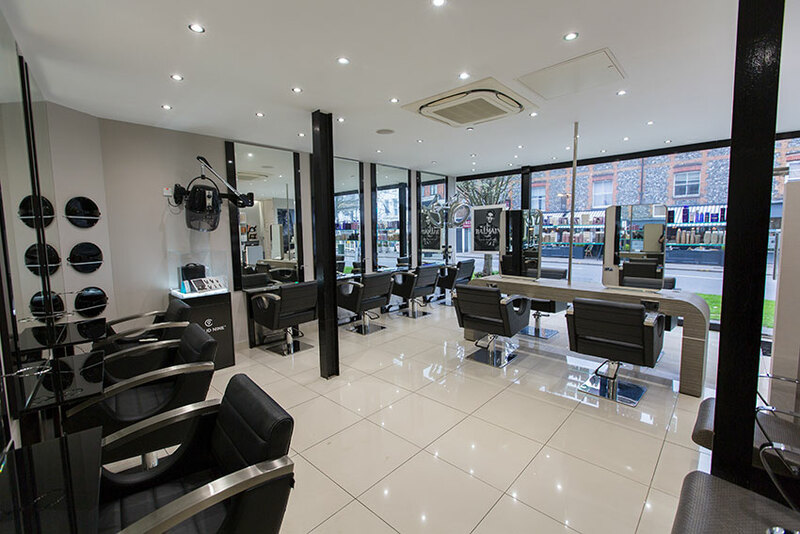 Our Esher salon opened in November 2015 and continues to go from strength to strength. Our highly skilled team are always ready to give you the Academy Salons experience! Really pleased with my colour, was given a new idea for the colour which came out really well and also a new style idea for blow drying. Very happy. Staff are really attentive and lovely Salon experience. Thank you for taking the time to leave your feedback. I am delighted to hear you are happy with your new colour & style created by Julie and that you enjoyed the salon experience. I’ll pass your comments on to the team. We look forward to welcoming you back to Academy Salons Esher soon. Thank you for your wonderful feedback Kim. I am pleased to hear you had another great salon experience and that you loved your hair created by Sarah and the team. Thank you for taking the time to leave your feedback. I am pleased to hear you had another good salon experience and that you love your haircut created by Sarah. I’ll be sure to pass your comments on to the team. Thank you so much for taking the time to leave your feedback. I am pleased to hear you had another good salon experience and that you liked your cut & blow dry with Chloe. I’ll be sure to pass your comments on to the team. Thank you for taking the time to leave your feedback. I am pleased to hear you had another good salon experience and that Kara always makes you feel good. Have been coming to this hairdressers for nearly 19 years and have most recently been styled by Chloe for the last year or more. The welcome is always friendly with magazines and coffee and I always leave with my hair looking very nice. Thank you so much for taking the time to leave your feedback. I am pleased to hear you liked your haircut created by Chloe and that you enjoy the salon experience. I’ll be sure to pass your comments on to the team. The cut was quick and all the staff were very friendly. Thank you for taking the time to leave your feedback. I am pleased to hear you had a good salon experience and that Julie looked after your needs. I’ll be sure to pass your comments on to the team. Thanks again for your feedback. I am pleased to hear you loved your haircut & blow dry with Sarah. Thank you for taking the time to leave another great review. I am pleased to hear your blow dry with Sarah gets better every time. I’ll be sure to pass your comments on to the team. Julie was extremely professional and knowledgeable, suggested something different to what I originally thought. It turned out really well and will definitely be going back. I wouldn’t be afraid to follow what she suggests as she really knows what she’s doing! The other staff were very friendly as well. Thank you for taking the time to leave your review. I am pleased to hear you are happy with your new haircut created by Julie and that you had a good salon experience. I’ll be sure to pass your comments on to the team. Thank you for taking the time to leave your review. I am pleased to hear you had a good salon experience and that Julie looked after your needs. I’ll be sure to pass your comments on to the team. Thank you for taking the time to leave your positive feedback again. I am pleased to hear you loved your blow-dry and that Sarah made a dull day better. I’ll be sure to pass your comments on to the team. Thank you so much for taking the time to leave your feedback. I am pleased to hear you continue to have a good salon experience and that you love how Chloe styles your hair. I’ll be sure to pass your comments on to the team. Thank you again for taking the time to leave such positive feedback. I am pleased to hear you enjoyed your blow-dry with Sarah. I’ll pass your comments on to the team. After years of being very blonde - time for a change. Chloe understood perfectly and achieved the most perfect effect. Thank you! Thank you for taking the time to leave your feedback. I am pleased to hear you love your new perfect colour changed created by Chloe. I’ll pass your comments on to the team. Thank you so much for taking the time to leave your feedback. I am pleased to hear you had a good 'first time' salon experience and that you loved the style created by Julie. We hope you like your new products! Thank you for taking the time to leave your feedback. I am pleased to hear you had a good salon experience and that Sarah looked after your needs. I’ll be sure to pass your comments on to the team. Absolutely happy with my hair colour x girls are amazing! Thank you for taking the time to leave your review. I am happy to hear you love your hair colour and you had a good salon experience. I’ll be sure to pass your comments on to the team. Chloe was the upmost professional despite being a stylist short and my hair being thick and taking forever to to. Thank you Chloe! Thank you for taking the time to leave your feedback. I am pleased to hear you enjoyed the service and that you liked your haircut by Chloe. I’ll be sure to pass your comments on to the team.